Gooii Nottingham are delighted to be partnering with the Historical Association to deliver another innovative project. It focuses on the suffragette movement, initially looking at women at the hustings through the 17th and 18th centuries. It continues to include the growth of the suffrage movement during the 19th century and forward to contemporary democratic voices. For teachers this project allows them to move away from the traditional approach of discussing a few high-profile leaders and militant methods. 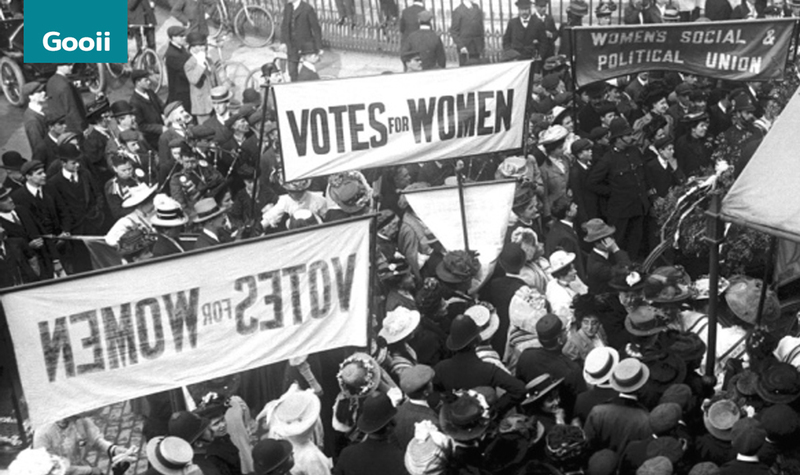 Students can learn about the everyday men and women who campaigned peacefully for the right to vote. Students can engage with their own democratic future through case studies of contemporary campaigners for gender equality. The full website will be launched in summer 2018 and will host a range of history and citizenship resources. Central to the project will be an online database of over 4,000 individuals across England from 1866 to 1914. Gooii are award-winning UI/UX designers and we can ensure that your app, website or virtual reality experience engages and inspires users. If you wish to work with our talented teams then please get in touch here. The Historical Association, Gooii Nottingham and Association for Citizenship Teaching. Support by the Government Equalities Office, Cabinet Office and Department for Education.